GameCraft Foundation would like to thank everyone who have supported us through attending, sponsoring, helping, and lots more that I can't think of right now. We especially want to mention Microsoft Ireland - as well as being our sponsor, they did put on an impressive at our recent Dublin GameCraft. Stuffed just thinking of those cookies and burritos! And a big shout out to Skills Matter for being fantastic hosts keeping everyone watered and fed. Always a pleasure to visit London. GameCraft.It has a number of jams lined up and will be officially announced when we have the details confirmed. 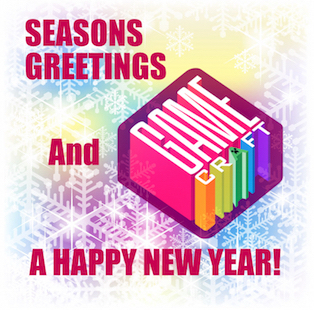 So stay tuned via Follow @GlobalGameCraft or on Facebook. We wish you all the best this holiday season and looking forward to seeing you all again in 2015! And if you want to contact us, just drop us an email at [email protected].